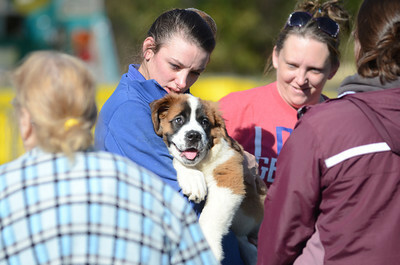 Jessica Smith holds onto her St. Bernard puppy Bindi which was rescued from a fire in their home on Creek Road in Beaver Township on Monday afternoon. 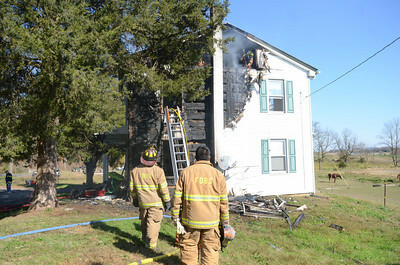 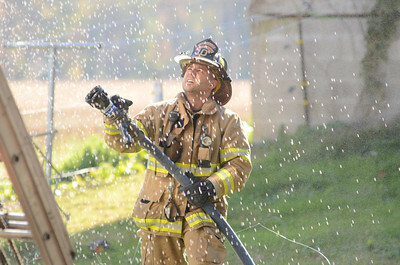 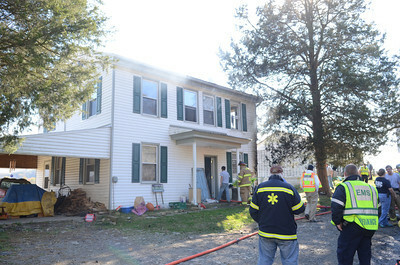 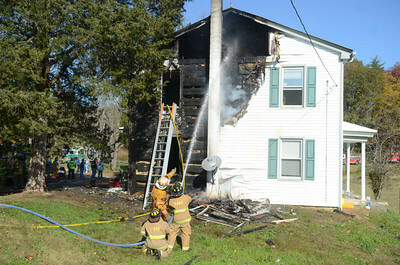 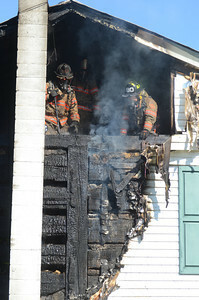 Firefighters spray water onto a home along Creek Road in Beaver Township after it caught fire on Monday afternoon. 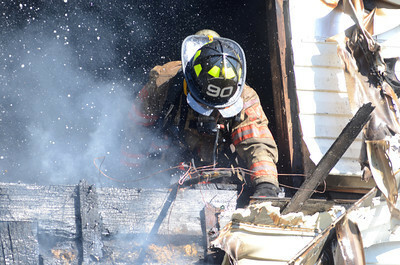 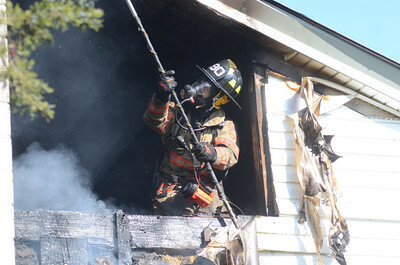 A firefighter sticks his head out of a opening in the second story of a home on Creek Road in Beaver Township while batteling a fire on Monday afternoon.